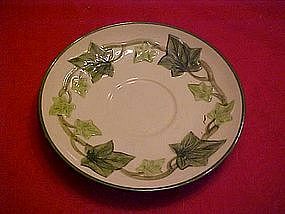 Here we have two saucers in the Franciscan Ivy pattern. They are in perfect condition. This pattern was seen on the old I Love Lucy tv shows. Price is for each. Other pieces to this set are listed in my catalog.